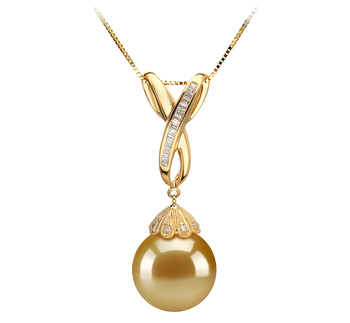 South Sea pearls are the largest pearls on the jewellery market. 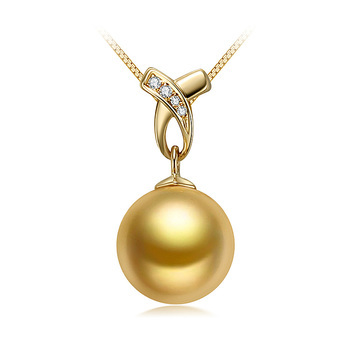 The rare golden ones come in sizes as large as 15mm. 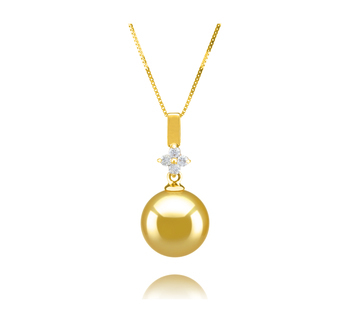 Golden South Sea pearl pendants are dazzling pieces of jewellery that look beautiful on all women. 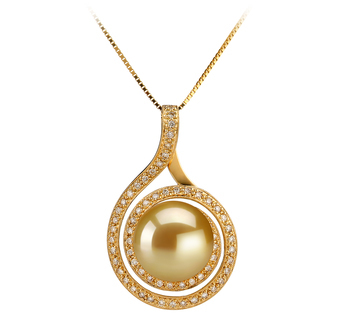 Suitable for wearers of all ages, a Golden South Sea pearl pendant will match all skin tones, brightening the complexion. 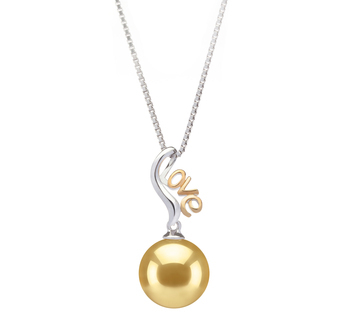 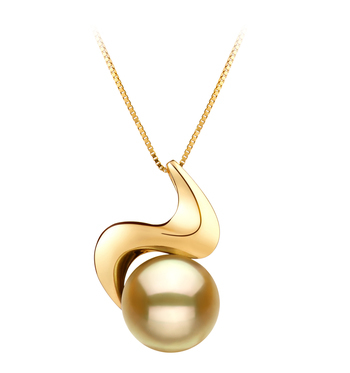 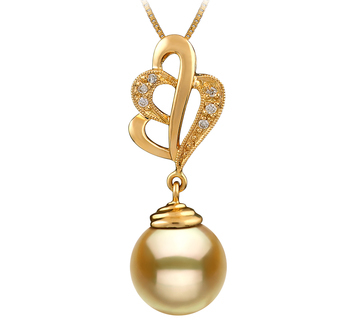 Whether the special lady is turning 16 or 40, she will appreciate a golden South Sea pearl pendant. 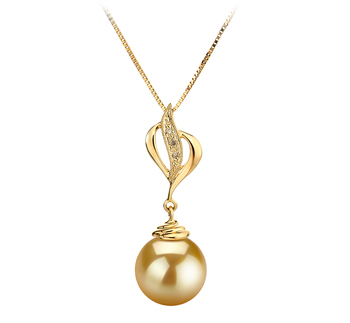 An indispensable luxurious accessory in the modern woman’s wardrobe, this jewellery item will never go out of style and is bound to be worn time and time again. 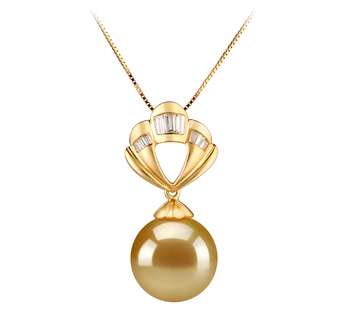 Suitable for elegant attire, the pendant will look striking both against warm and cool-toned complexions. A great gift for a young lady on her path to success, a Golden South Sea pearl pendant can be an empowering jewellery item. 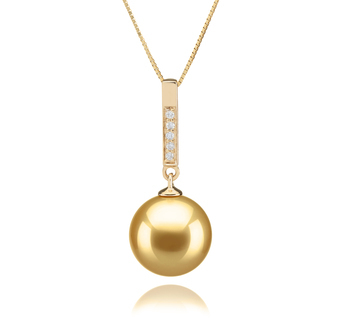 Recommended for strong and confident women, the necklace is a special gift to start a sophisticated jewellery collection.